A ABLE Fishing Charters & Tours at Marina Cay, Fishin' with Shorty. Aablefishing has different charter fishing or scenic cruise plans for you to consider, Shorty's personal 28 ft long by 10 ft wide boat and other boats. Guaranteed Fish. 12 fish per charter. The town of Bigfork is a picturesque and charming place. Far from the common place. A world famous theater... Known by many as the "theatre by the bay", the playhouse brings talent from across the country to bring the finest live theatre in the Northwest and is a past recipient of the Montana Governor's Award for the Arts. Flathead Lake Charters offers half day, full day and twilight fishing charters – everything you need to enjoy a day on the lake is provided. Whether you are looking for whitewater rafting, kayaking, scenic rafting or sea kayaing in the tranquility of a mountain lake, the Flathead Raft Company® has an adventure waiting for you. The flight is a breathtaking view over a million acre geologic park, of which only a fraction of its awesome terrain and beauty may be seen by road or trail. Our heli tours are also a special opportunity for elderly and handicapped tourists, who are not physically able to hike the trails; and so very little of the Park is seen from the road. Open year ‘round. A full service outdoor store and fly shop complete with camping, rafting and fishing equipment sales and rentals. Join us for a family whitewater trip or wilderness adventure on Montana's Flathead Rivers surrounding Glacier National Park. Our experienced guides combined with our knowledge of the area and excellent food will make your trip first-rate fun! Hiking and backpacking in Glacier National Park. Guided rafting trips on the North and Middle Forks of the Flathead River. And trips to Granite Park Chalet. Our mission at montanabliss is to celebrate life's boundless journey through the gifts of yoga, pilates, and the restorative spa tradition... then compassionately share this wisdom in our daily connections with each other, our communities and the world around us. Bike rentals for the entire family and can be rented for half day, full-day or an entire week. The course is truly unique to the Big Sky state, from the rolling waves of native grasses surrounding a golf challenge that will intrigue your senses, to the experience that resembles a quiet walk along a peaceful river of the back nine. 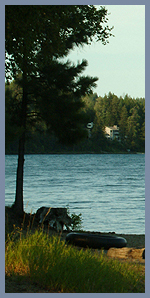 Eagle Bend Golf Club is a 27-hole championship course located on the north shore of Flathead Lake. Eagle Bend is Montana’s only golf course to be rated #1 by Golf Digest for six consecutive years and in the top 50 in the United States. Flathead Valley Montana Golf might very well be the last best frontier of great undiscovered golf. Nine championship montana courses all within forty-five minutes drive. Buffalo Hill Golf Course is located in Northwest Montana's Flathead valley. This trail follows the drainage for a pleasant hike up Crane Mountain where various wildflowers and trees can be observed. Access is from Trail No. 76 which gains some elevation once it leaves Montana 35. Follow Trail No. 76 for a mile to the junction of Crane Creek Trial No. 314. This trail is closed to motorized vehicles. This trail can be accessed both from the west, via the Beardance Trail No. 76 or from the east via Crane Mountain Road for an easy, mostly downhill trip. Phillips Trail is accessed about half a mile up Trail 76 on the left and crosses Crane and Mauzey Creeks and offers great views of Flathead Lake and the Flathead Valley. This trail is also closed to motorized vehicles. The trailhead is reached via the Crane Mountain Road about two miles past the Bug Creek road junction. This hike rolls along through a variety of habitat, swamp, bedrock and wildflowers to reach this small lake. More difficult, 12 miles (round trip) to and from the junction of Alpine Trail No. 7. Go east and south on Montana 83 about six miles from the junction of Montana 35, then turn east on Bear Creek Road No. 5398 and continue about three miles to the gate and the trailhead. After July 1 the gate is opened and cars can drive another mile up the road. This hike could be divided into sections. The first offers a shorter, easier hike or a good area for mountain biking and horseback riding. The next section is more rugged, passing through a rock slide and a burn area left by a forest fire. The first two miles follows the road on a gentle grade through old clear cuts that afford nice views of Ferndale and a glimpse of Flathead Lake. The trail crosses three creeks - Bear, Peterson and Patterson - that provide hikers a glimpse of the pre-logging habitat. Crystal-clear water tumbles over smooth boulders and fallen snags fringed by ferns and lush green moss and the dense forest. The last mile of road gain mildly in elevation. After the log walkway over Patterson Creek the trail begins to gain elevation. This trail was rerouted last year to ease the grade, which probably added about 1/2 mile to the hike. The topography and habitat are diverse on this hike including Douglas fir, lodgepole and white pine and subalpine fir. Hikers will see a variety of wildflowers, and the effects of wildfire in the 1988 Red Owl burn area. At the top there are great views of Ferndale, Swan Lake and Somers. This trail can be tailored to the hikers' interests and ambitions. The first four miles are an easy grade, making a reasonable section for mountain bikers, too. There are lovely views on this easy section. After crossing Wolf Creek the trail becomes more challenging as it begins to gain elevation. If you feel inspired you can reach the Alpine Trail No. 7 in another 6 miles. Great views and the pretty crossings at Birch and Deer Creeks make this a rewarding hike. Just before the community of Swan Lake on Montana 209, across from the store and gas station, take a left on to Road No. 9508. You will reach the trailhead 2.5 miles up this road. Hike for four miles until you reach the Alpine Trail. Continue in a northwesterly direction 1.5 miles until you reach the summit. Save this one for a clear day. This is an efficiently designed trail offering a steady climb for almost six miles to the summit. The effort will yield spectacular views from Glacier National Park to the Cabinet Range, to the Bob Marshall Wilderness area. The trailhead is located on the east side of Montana 83, about a mile south of the community of Swan Lake. It is eight miles to the Alpine Trail. Marshy areas, streams, lakes, rock slides and heavy timber make up this hike's diverse topography. Bond Falls is almost two miles in, providing a destination for a more moderate hike. Be sure you spend a few moments at the fall if you are continuing on to the lake. Another mile after Bond Lake will get you to Trinkus Lake. Both have good trout fishing and are popular horse and stock trails. Turn east at the Goat Creek State Forest Headquarters to reach this trail and drive for about four miles to Road No. 54, then south a mile to the Napa Point Road. This steep, rough road climbs to an old lookout site but is usually suitable for passenger cars in summer. (Call the Bigfork Ranger Station for current conditions.) There is a loading ramp and two hitching racks for stock and a large parking area. The high elevation ridgetop trail dives into the forest before breaking out into airy "Sound of Music" views of Swan Peak. It intersects with Soup Creek Trail No. 84 and Gorge Trail No. 218 near the Swan divide and Alpine Trail No. 7. To the north is Inspiration Pass where you can either drop down to south Lost Creek Trail or go north on Alpine Trail No. 7 Head into a southerly direction to reach Inspiration Point, a small knob once occupied by a Forest Service lookout facing the rocky face of majestic 9,289 - foot Swan Peak. The next two miles meander past intermittent ponds, through Swiftwater Creek and small boggy areas. An old marker in a flat meadowy area just before the final ascent to Inspiration Point holds the record of dozens of visitors who stopped to pencil in names, dates and sometimes a message. The last half mile cuts through lilies as the snow melts. The trail then wraps around the backside of the knob to reach the round flat summit. Evidence of the old lookout, like remnants of an old stove, are still scattered on the rocky knob. The eastern portion of the knob is in the Bob Marshall Wilderness. Hikers can head north on the alpine trail to reach Warrior Mountain (12 miles round trip) or extend the hike into a camp out and climb Gildart or Thunderbolt Mountain. A newer trailhead is accessed three mile in on Lion Creek Road No. 5383. A walk log over the broad creek might weed out the faint of heart at the beginning of this hike but there is a hand rope to offer stability while crossing. Old growth timber is the outstanding feature of this hike. Huge gray cedar trees tower over the wide creek bottoms and grand old ponderosa, fir and spruce on the hillside above. Bedrock outcroppings and numerous streams and falls make this a beautiful drainage. The trail follows a relatively easy grade but has some dips and rises. About six mile up the trail and off to the side is Palisade Falls. The main parking area and log ranger station are reached by turning north on Echo Lake Road from Montana 83 about three miles east of Montana 35. After another three miles, turn east on Jewel Basin Road No. 5392. This road is a real roller coaster for about seven miles because of the water bars to reduce erosion. It often washboards as the seasons progress. It reaches an elevation of 5,800 feet and four different trails. All are hiking only trails and off limits to horses and motorized vehicles. Snow usually remains in the parking lot until mid June and along trails even later. There is a 12 person limit on hiking and camping in the Jewel Basin. Your dog must be leashed at all times. In less than two miles from the Jewel Basin parking lot you can reach the top of 7,528-foot Mount Aeneas. Keep in mind that you gain 1,700 vertical feet, so the hike is a steady climb. The trail takes off the Alpine Trail in the direction of Birch Lake in an easterly direction. At the microwave relay site, turn right and follow the ridge to reach the peak. There you will find a tremendous panoramic view and an overview of Jewel Basin interior with its gemlike lakes below. This is another hike to save for a sunny day. If you manage to coax children to the top of the mountain, be aware of steep slopes and cliff-like conditions. This is one of the most heavily used trails, though it remains in good condition. Hikers can cool off in a hurry in this alpine lake. Birch is the first of a string of lakes - continue another mile to reach Squaw Lake and then an additional mile to reach Crater Lake to make it an alpine lake tour. All three offer good trout fishing. The northern route, known as Noisy Creek Notch Trail, angles two miles to the ridge top where you will get a good view of Twin Lakes and access to the north end of the hiking area. Near Twin Lakes, it connects with Alpine Trail #7, a trail that follows much of the Swan Crest (except for a section from Six Mile to Broken Leg.) The trail branches off the the northwest heading to Wildcat and Strawberry Lakes. The northeast fork runs alongside Tongue Mountain to Clayton Lake. A more strenuous switch back trail from the parking lot is the shortest trail to the top of the ridge. You can take a southerly direction at the ridge top to reach Picnic Lakes or a northerly trail providing access to Black Lake and the Graves Creek Trail. A shorter walk up the gated microwave service road from the parking lot offers open views to the Flathead Valley. Follow the road to where it hits the ridge, where a foot trail is visible, and then follow the ridge west to the knoll. At the top there are great views of Ferndale, Swan Lake and Somers. A short drive and hike afford splendid vistas of Swan and Flathead Lakes from the former site of a Forest Service fire lookout. From Bigfork drive east on Highway 209 to Ferndale, turn south on Crane Mountain Road at the Ferndale Fire Hall, then bear right at the Y junction with Bug Creek Road and drive six miles to Road 498A. Park at the gated area and walk a few hundred feet to the old lookout site. Small children should be supervised on the rocky bluff. This federal nesting preserve lies at the north end of Flathead Lake and can be reached from Hold Drive and from two marked access roads along Montana 82. A level walk will take you along the shores of Flathead Lake, but many areas are marshy in spring and summer. It's particularly interesting in winter, when the ground is frozen and the Flathead Lake level is low, exposing the long, broad shoreline beaches. The preserve is closed March 1 - July 15 to reduce disturbances to nesting birds. Camping, fires and vehicle traffic are prohibited, year-round. In the fall the area is opened to hunting and trapping according to state and federal regulations. Contact the refuge manager at 406-758-7870 for more information. This two-mile loop trail is nine miles south of Swan Lake at the Point Pleasant Campground, 1/2 mile south of mile marker 64. It honors two Bigfork natives and outdoors enthusiasts, wildlife artist Elmer Sprunger and woodworker Jack Whitney, who sought for more than a decade to protect old growth timber and wildlife habitat on state forest land. An unusually large variety of marked tree and plant species can be observed along this interpretative trail, and visitors can see contrasting forest conditions as they walk through an old logging site and into heavy growth timber. The trail is on state-leased land so a recreation permit is required. Located just south of Swan Lake, this refuge adjoins the Swan River Oxbow Preserve and offers birdwatchers a variety of birds at different times of the year including marsh wrens and waterfowl such as teal and tundra swans. Once the old highway to the Swan Valley, this level trail follows the Swan River east out of Bigfork. The trailhead is at the east end of Grand Avenue, a couple of blocks up the hill past the Bigfork Inn. This 400-acre marshy preserve was purchased by the Nature Conservancy to protect rare plants, including the threatened Howellia aquatilis, and the diverse wetland community in an oxbow where Swan River once flowed. Drive south on Montana 83 past Swan Lake and turn west on Porcupine Creek Road 2.5 miles south of the town of Swan Lake. In 1/4 mile, a sign indicates the parking area and kiosk. Wildlife in the area includes elk, moose, deer, bald eagles, osprey and a variety of other birds. Identification plaques along the trail make this a good educational outing for the whole family. Dress for mosquitos and bring boots or wader for boggy areas. Bring along guide books and binoculars to identify plants and wildlife in the area. Stay on the trail to protect the special plant communities. The preserve is spring habitat for wildlife including grizzly bears, so visits are discouraged from mid-April to mid-June. Indians once hid their horses from hostile raiding parties on this, one of the largest islands in the inland U.S., now a state park with a few shoreline summer cabins. Forests intermingle with unique remnant Palouse prairie grasslands in this wild, rocky home to abundant wildlife including deer, bighorn sheep and wild horses. Wear hiking boots or good walking shoes, and bring water and a lunch. This is a day use area only, with no camping, rest rooms or picnic tables. Access is normally by boat from Big Arm on the West Shore, but Pointer Cruises in Bigfork offers transport and pickup to and from the island.